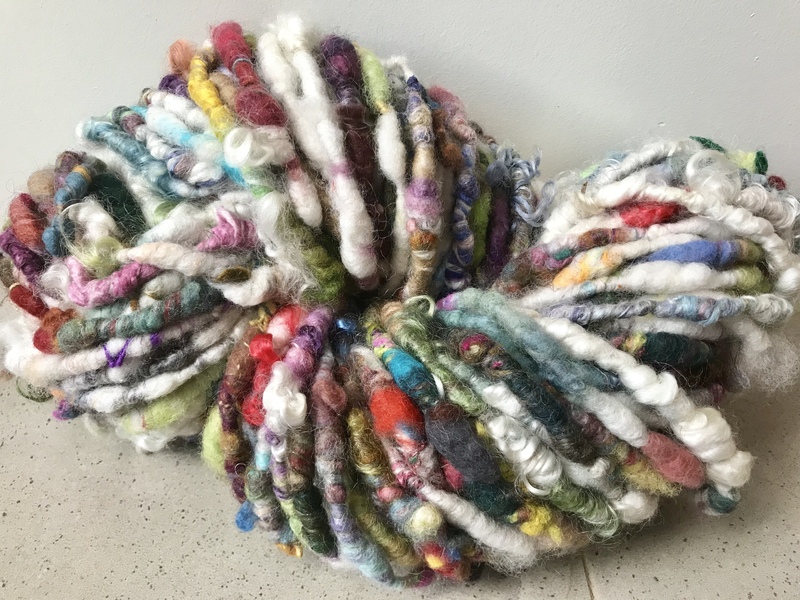 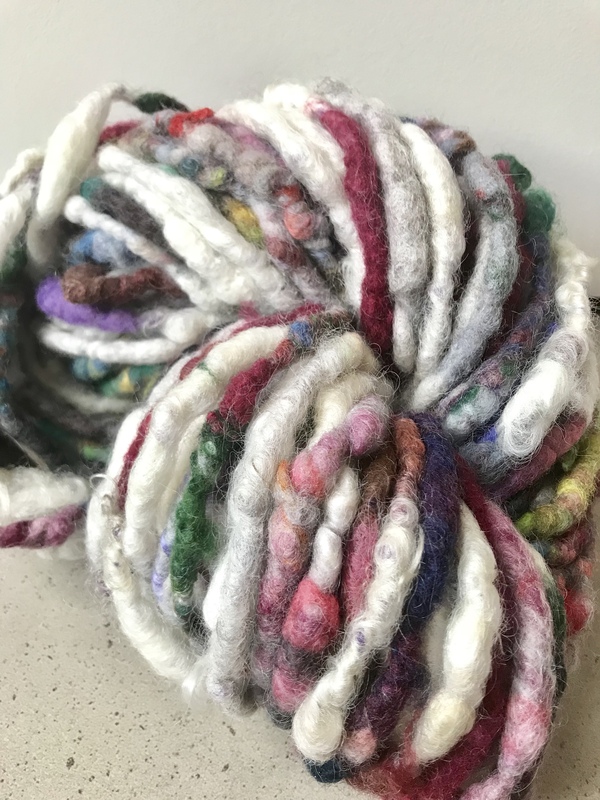 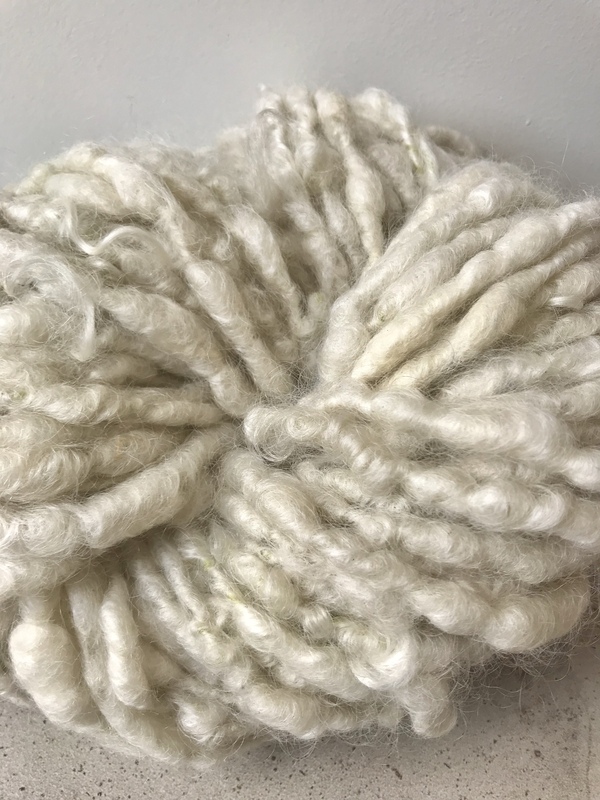 A beautiful skein of hand spun Hotch Potch style yarn in natural whites. This yarn is spun from English Leicester fleece giving a lovely lustre and the odd natural curl. 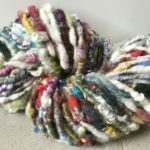 This skein weighs 220grams and has a slight fulled appearance which gives it the perfect surface for high wearing items.